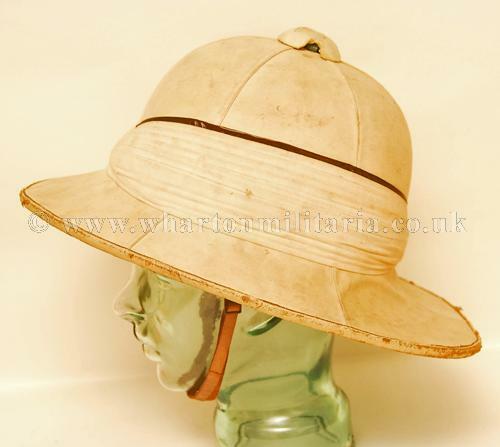 Wolseley pattern pith helmet with 7 fold khaki head band 'Pagri' with the black top line and vented crown. 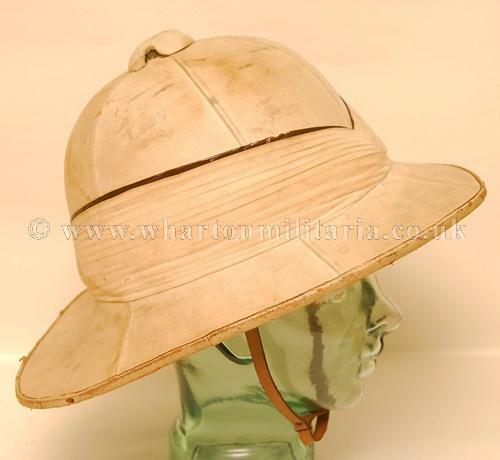 The helmet is made by Gieves of London, the Royal Navy outfitters and is complete with leather sweatband and chinstrap. 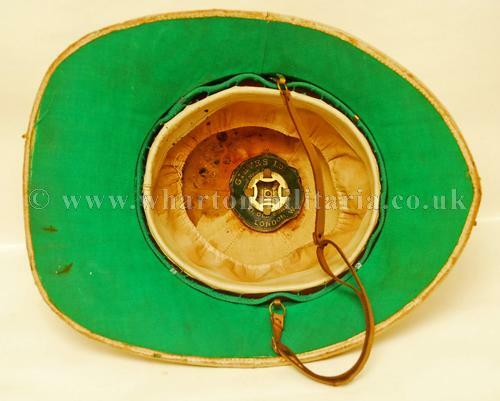 Helmet, sweatband and chinstrap are undamaged with just a little fraying to the internal green covering. The crown of the helmet has the correct vent. 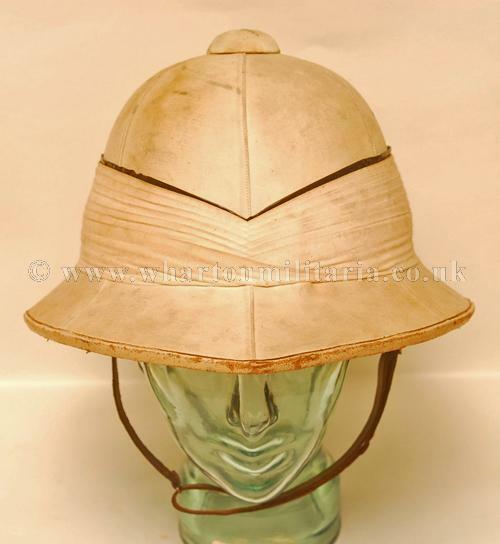 The inside of the helmet has a nice maker’s label ‘Gieves Ld’ along with their London address and the ‘Royal Navy’ connection, some internal staining to the top rear. 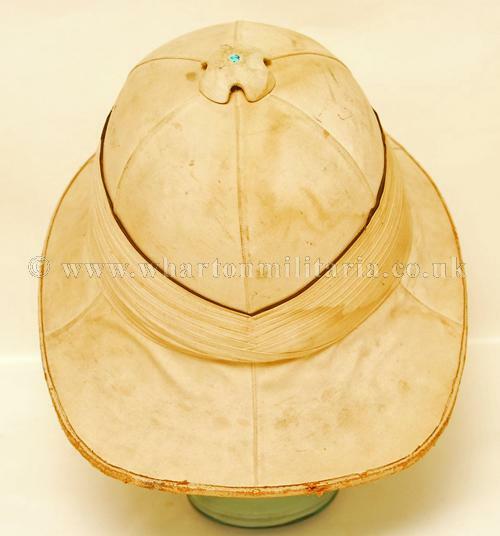 A nice example of the distinctive British design with its swept back brim used throughout the WW1 and WW2 period.